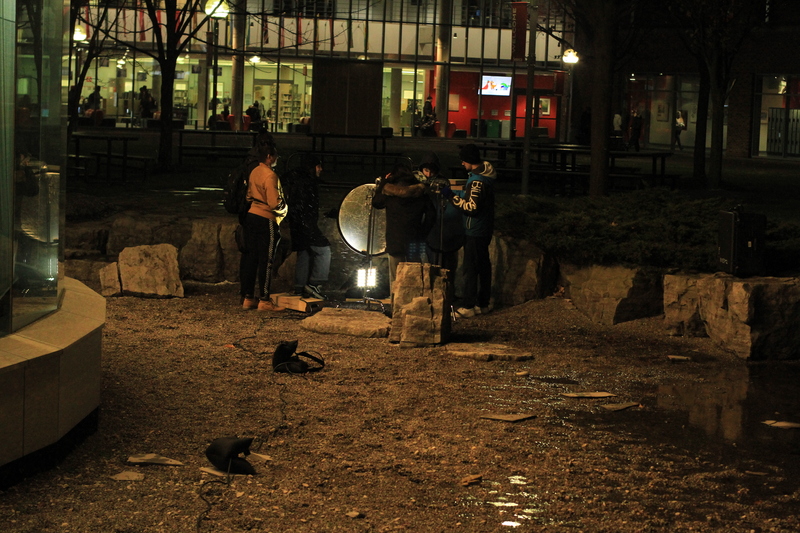 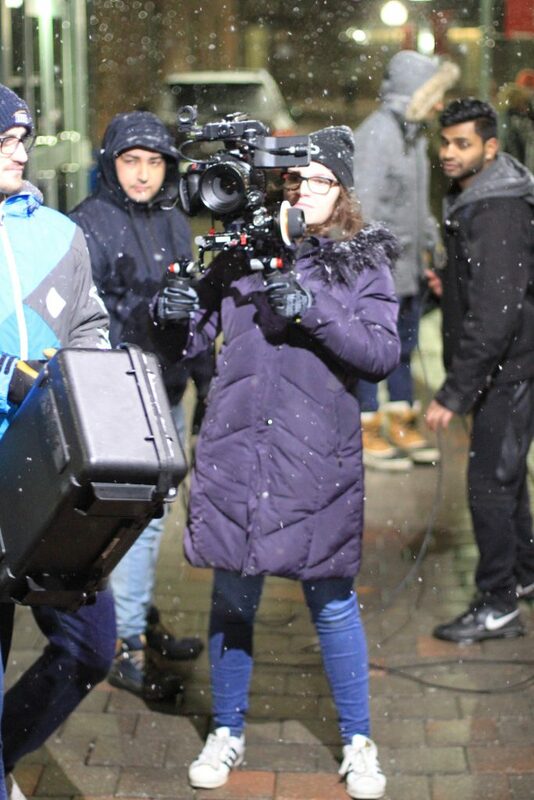 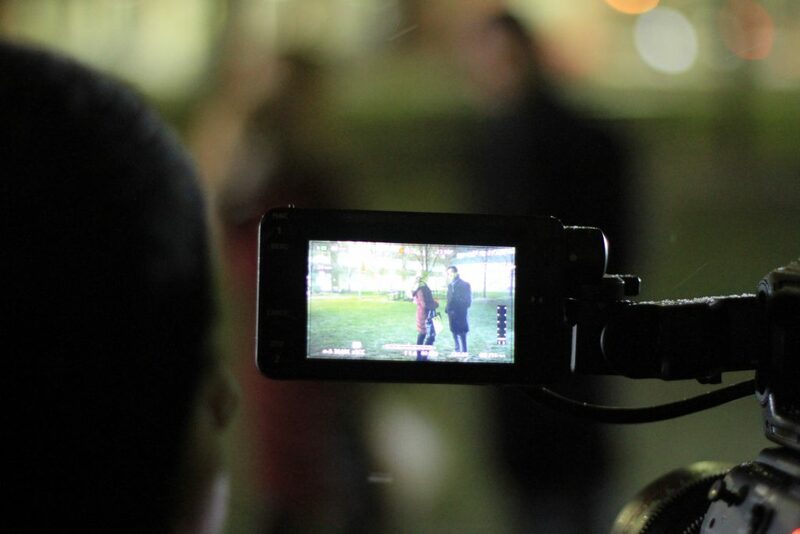 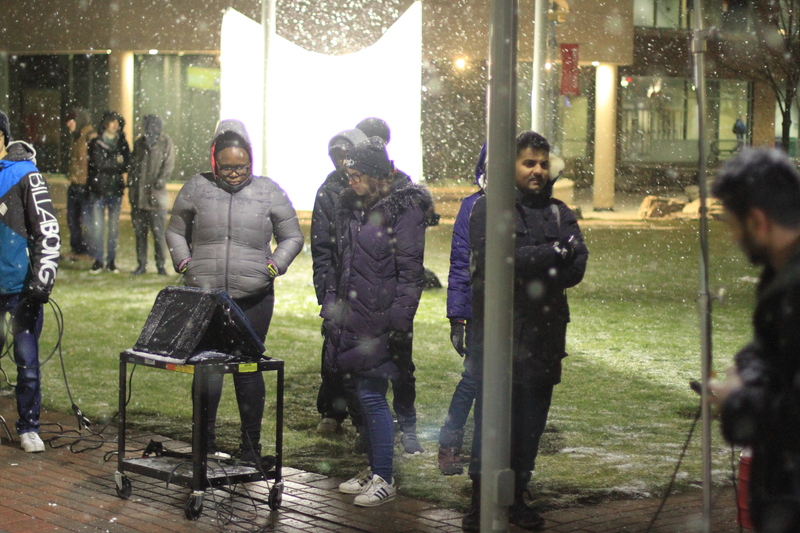 Third term Television Broadcasting students took part in a night shoot to learn the art of lighting and cinematography without sunlight. 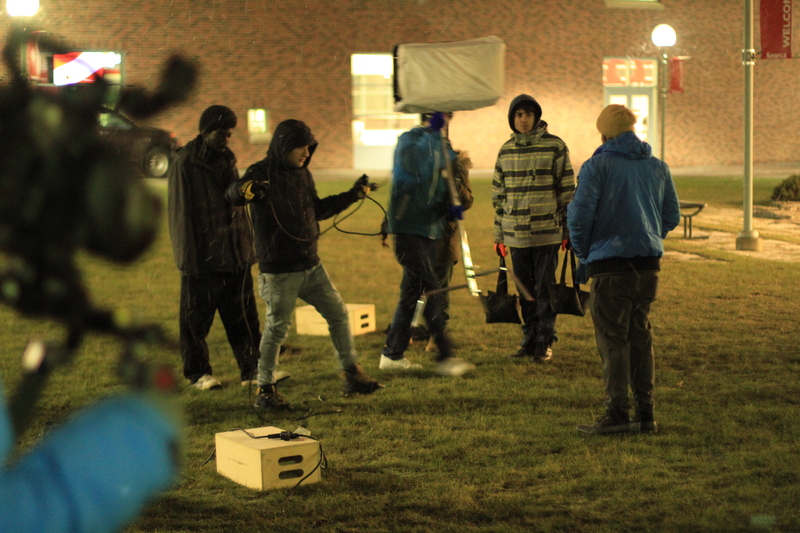 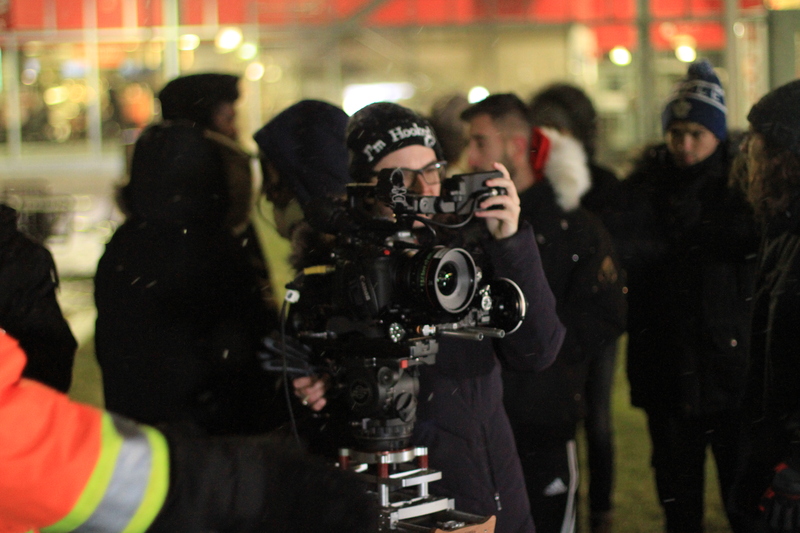 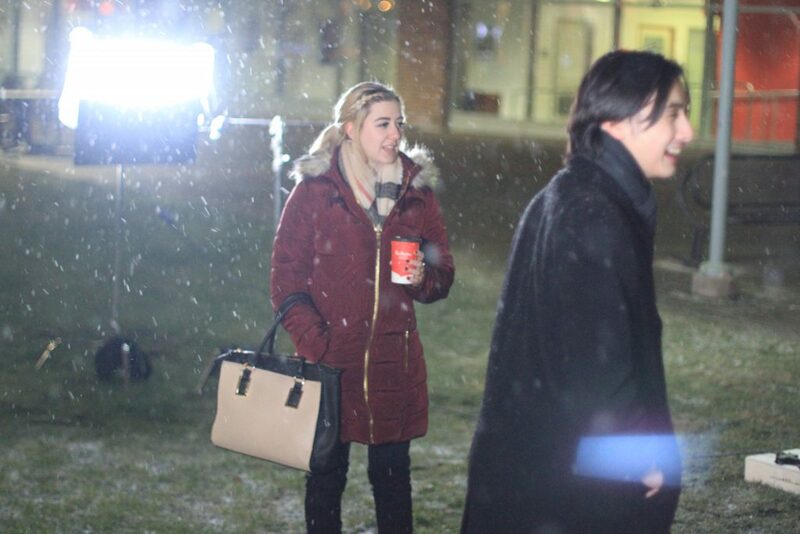 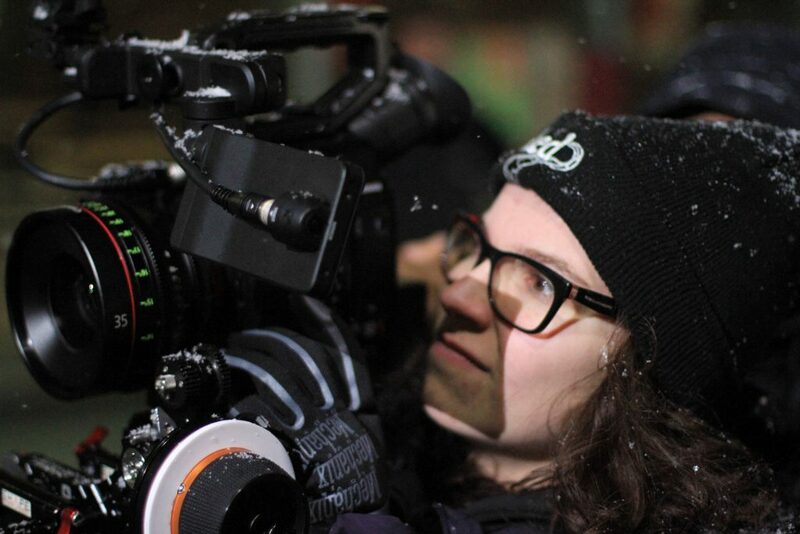 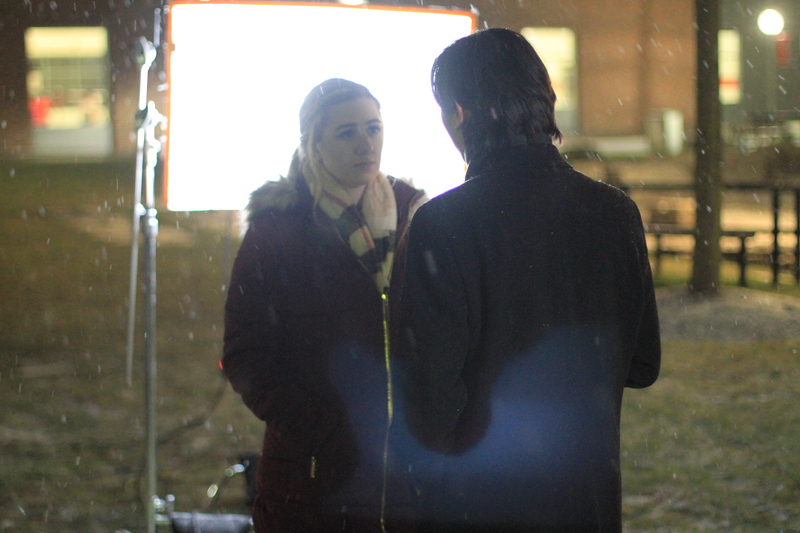 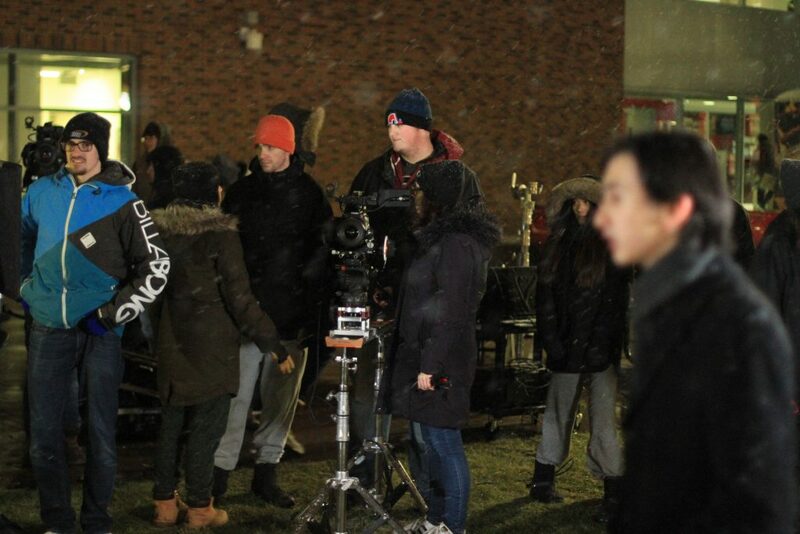 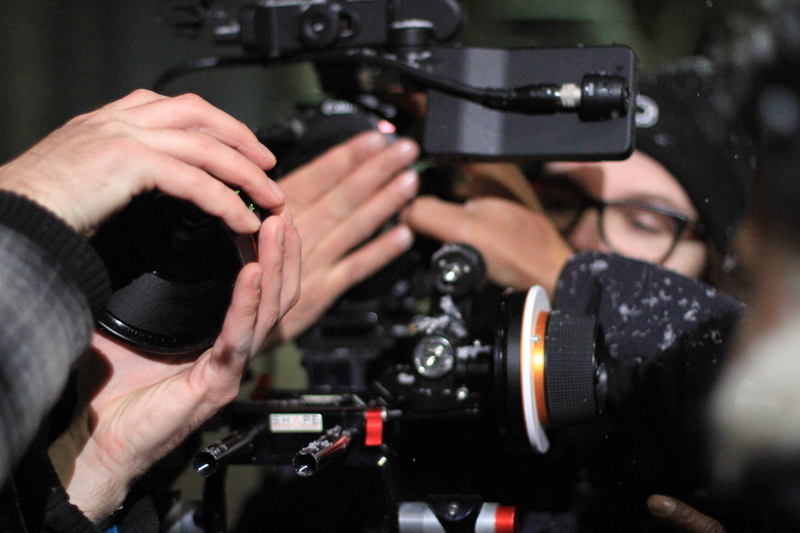 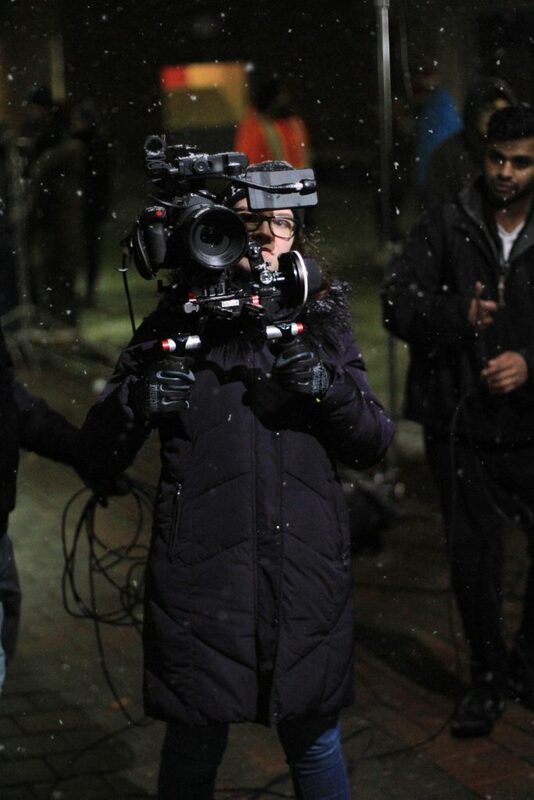 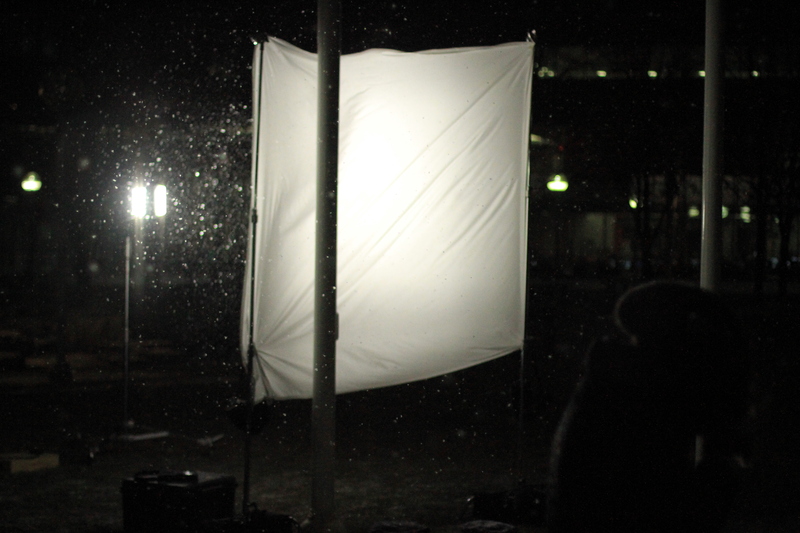 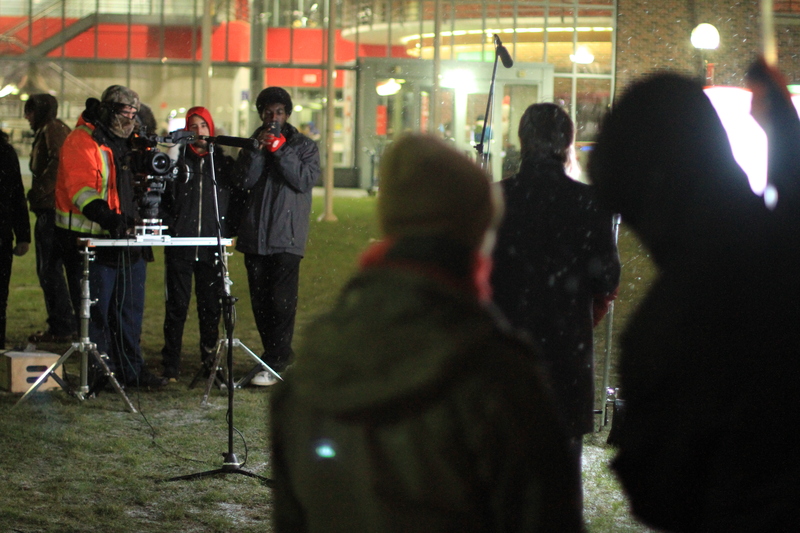 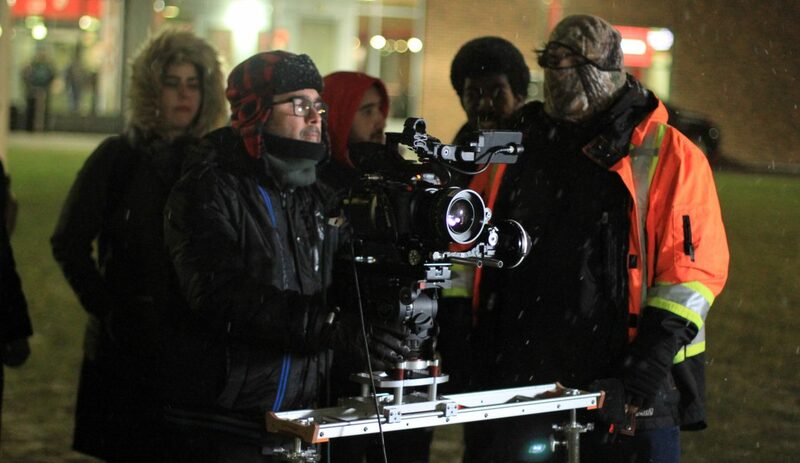 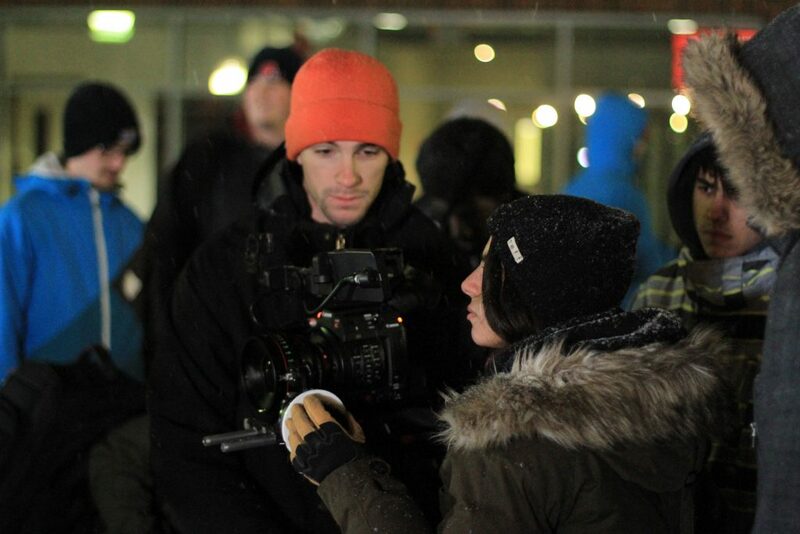 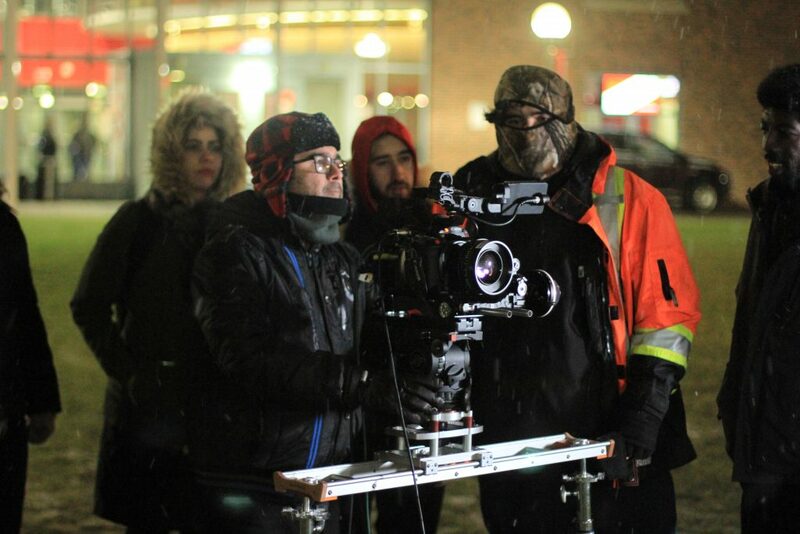 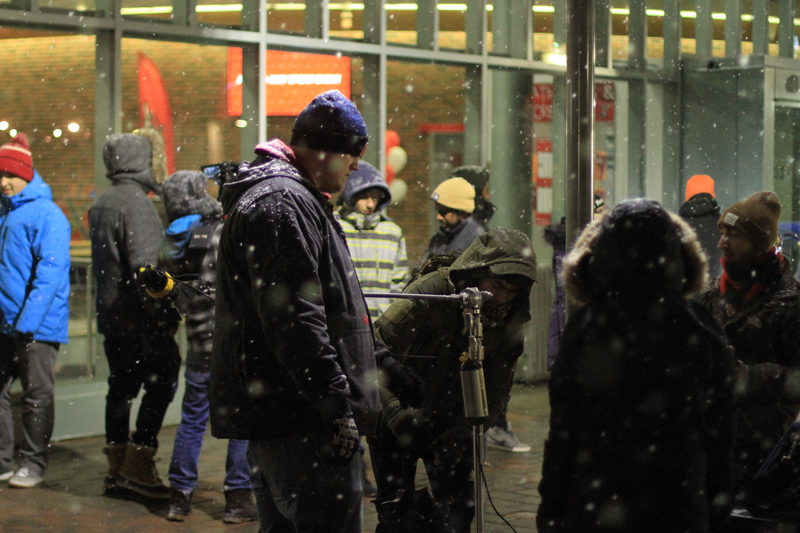 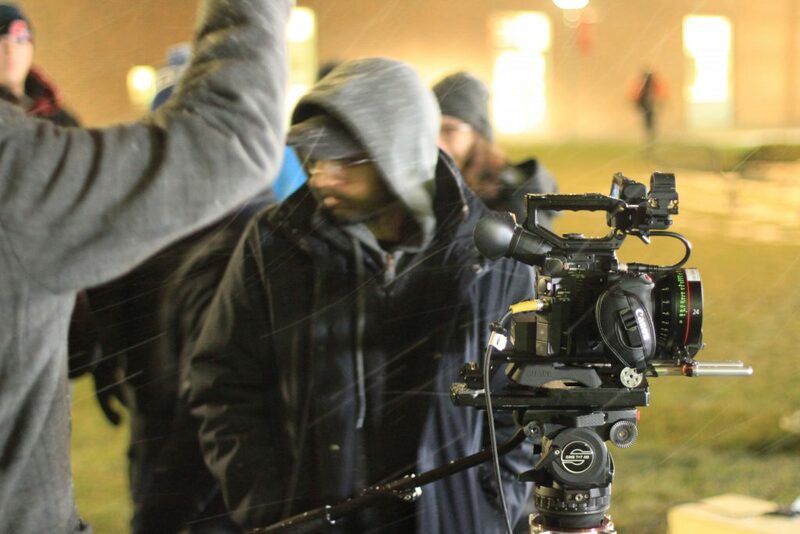 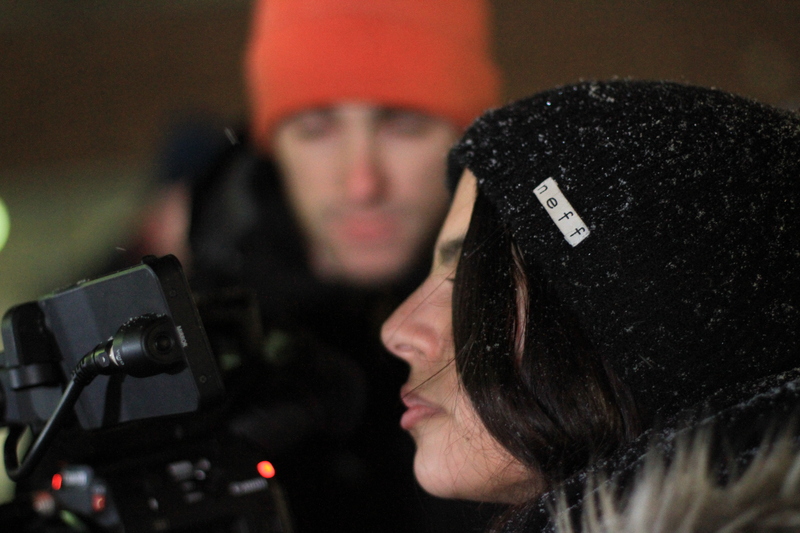 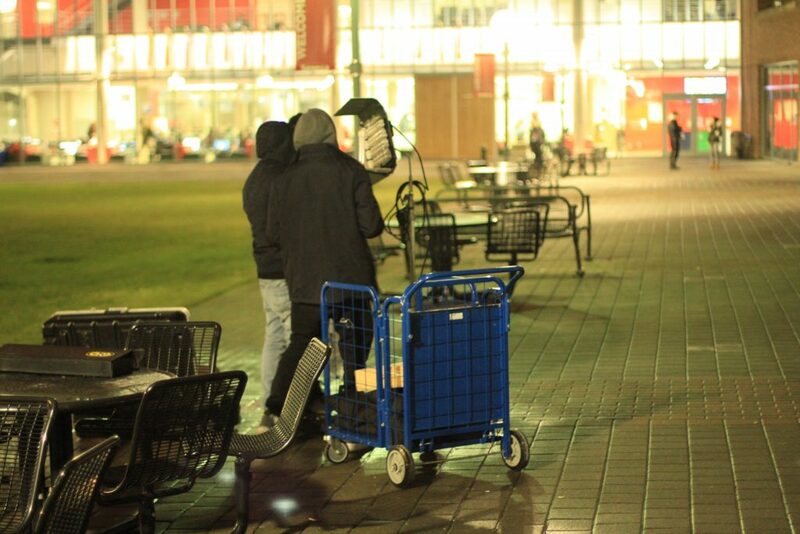 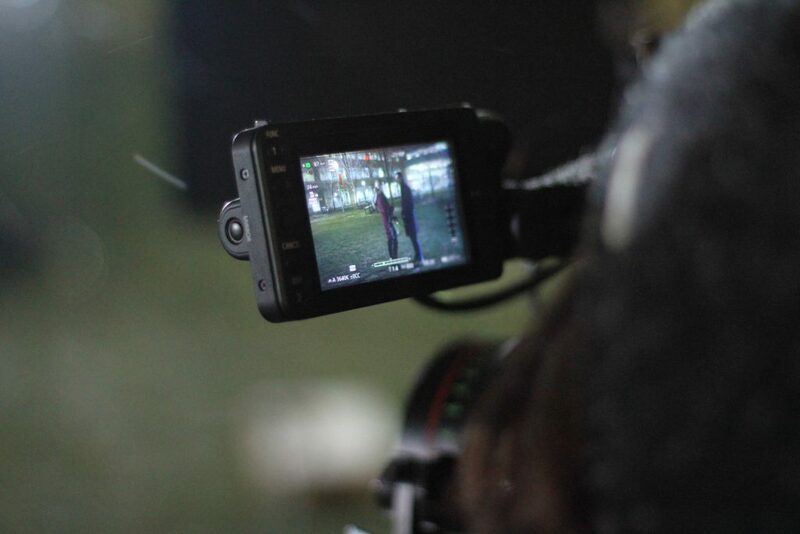 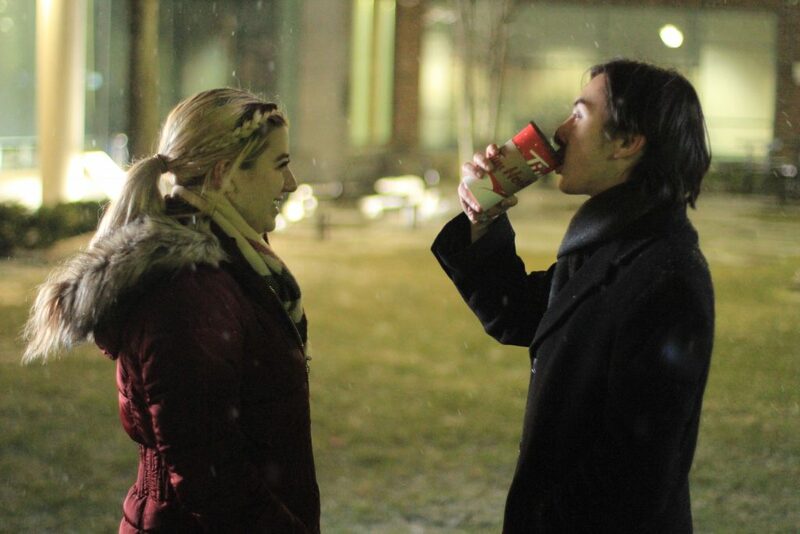 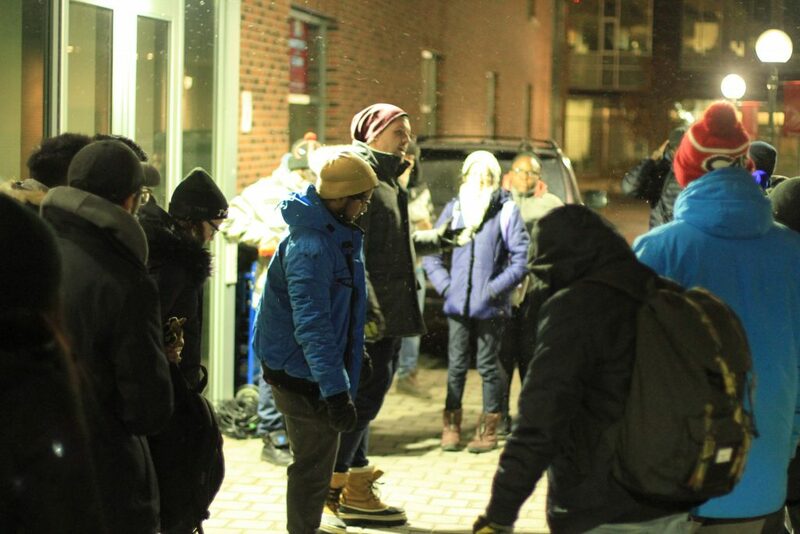 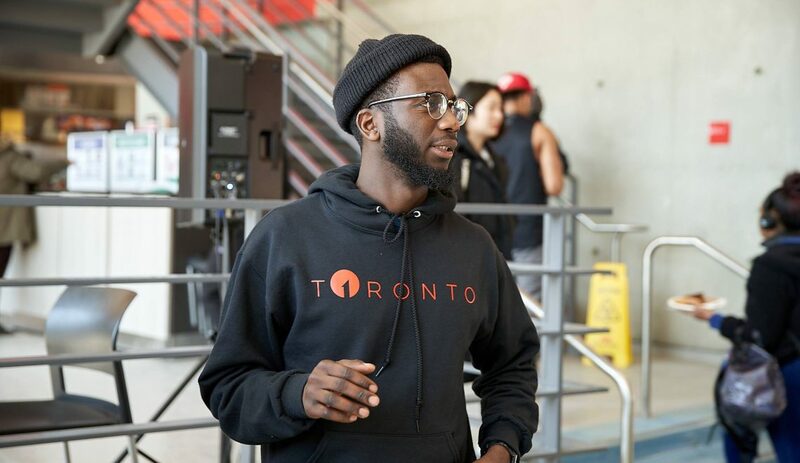 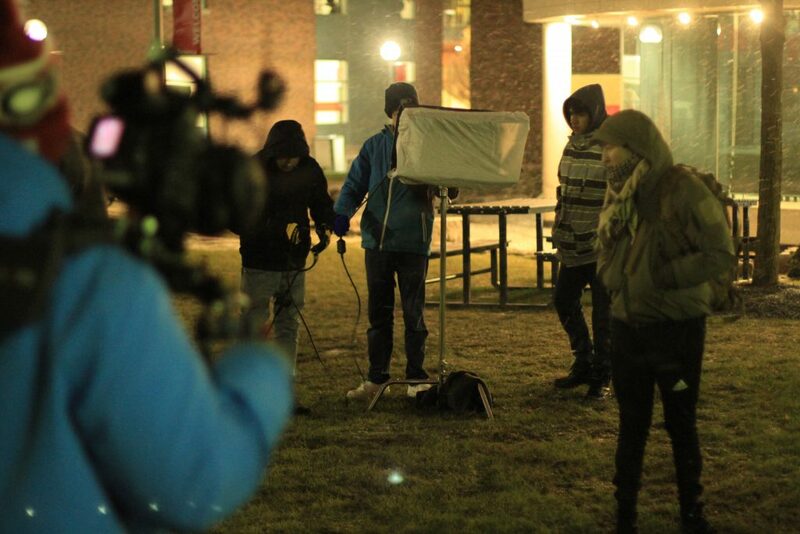 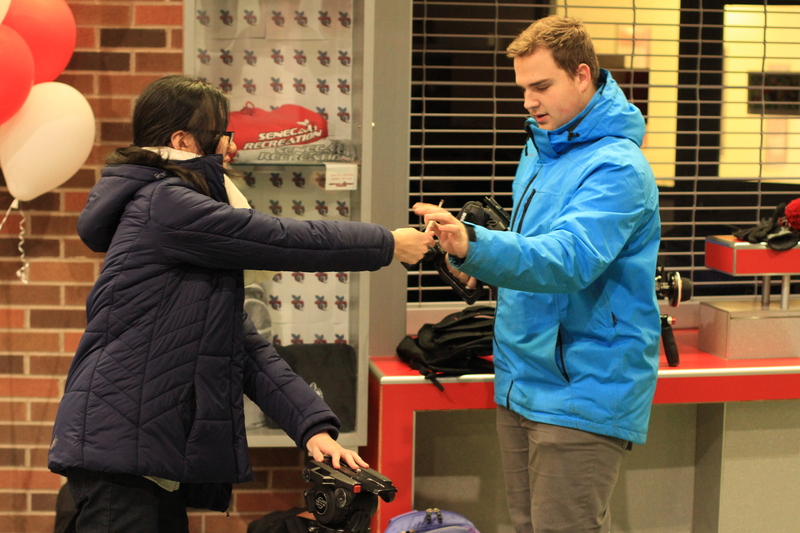 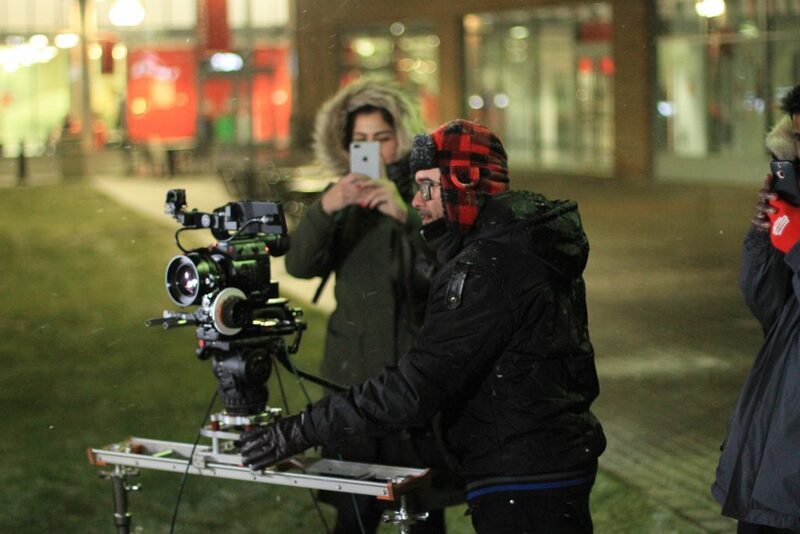 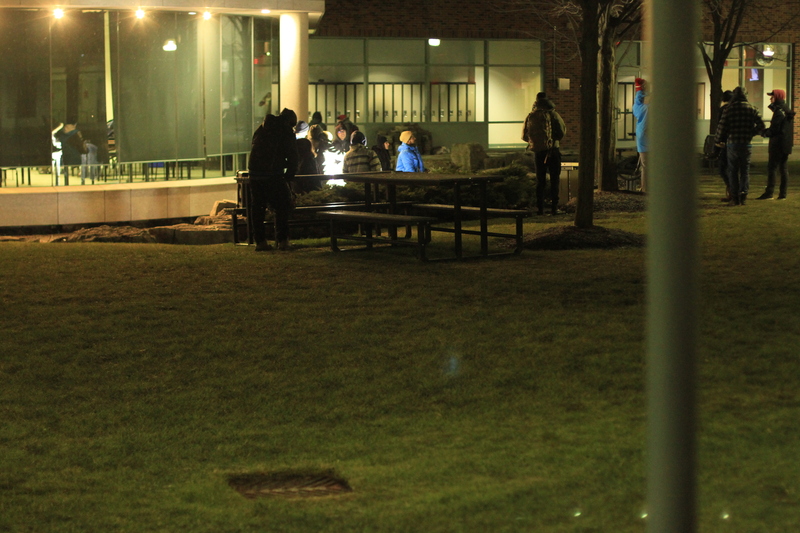 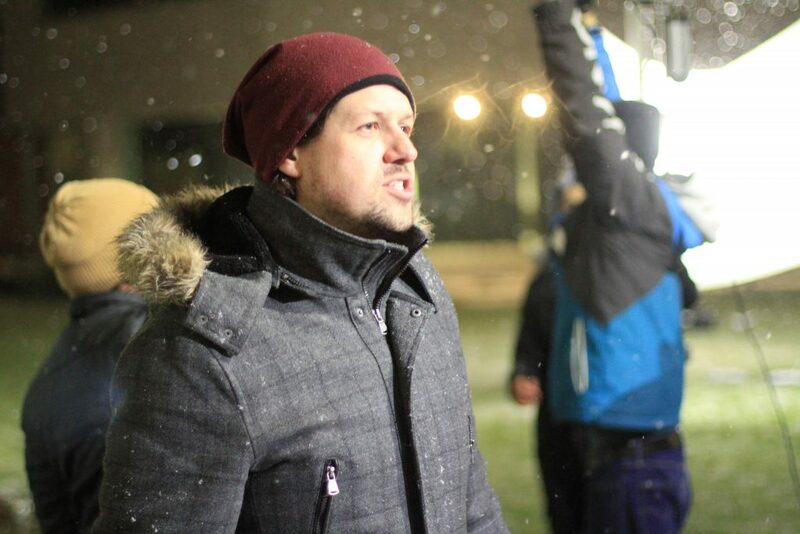 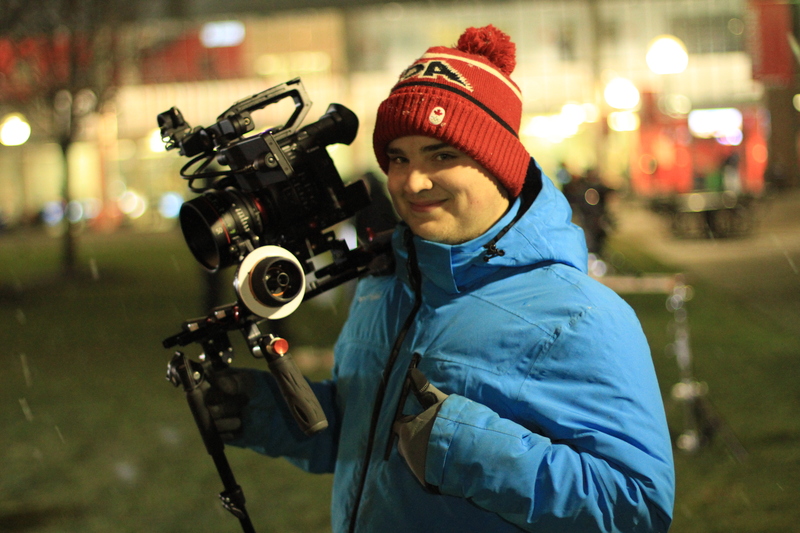 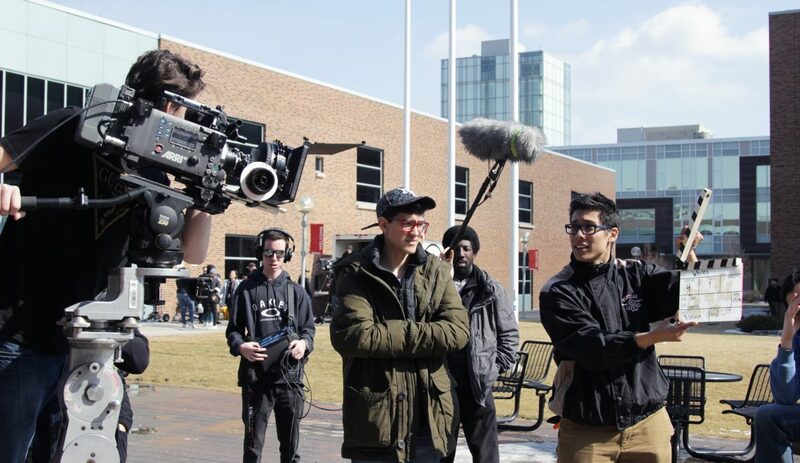 The shoot was organized by DP and Professor Kyle Francis. 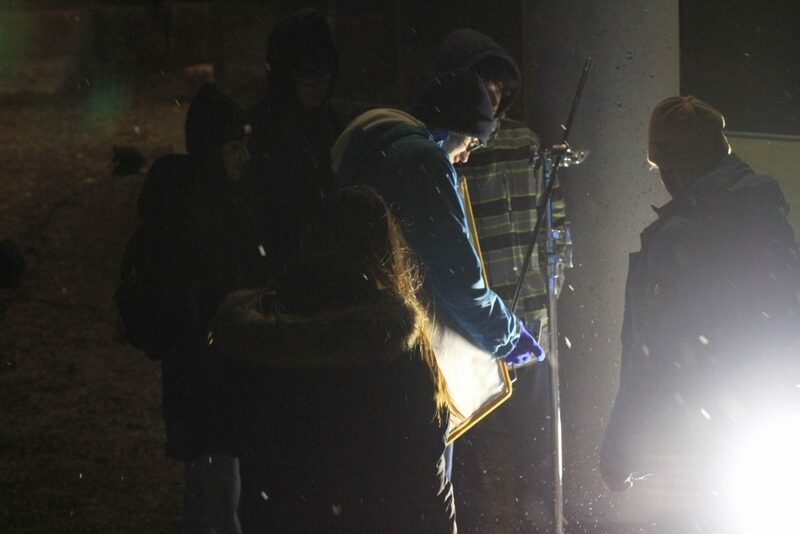 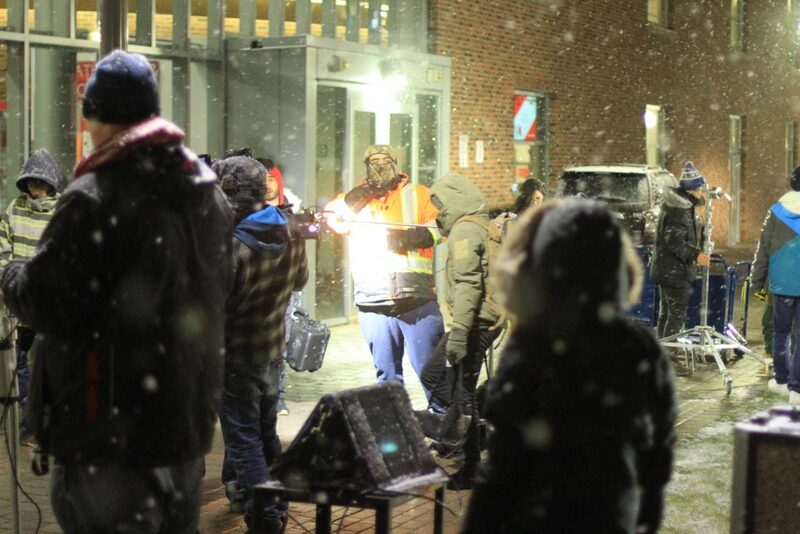 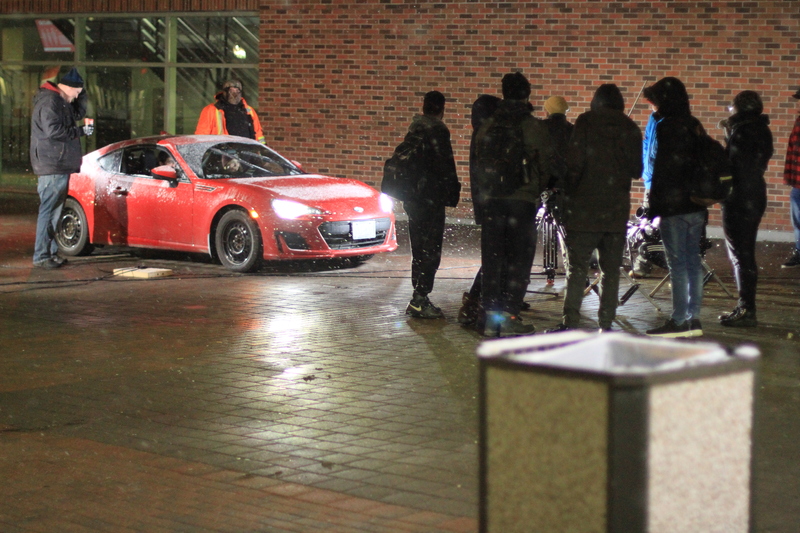 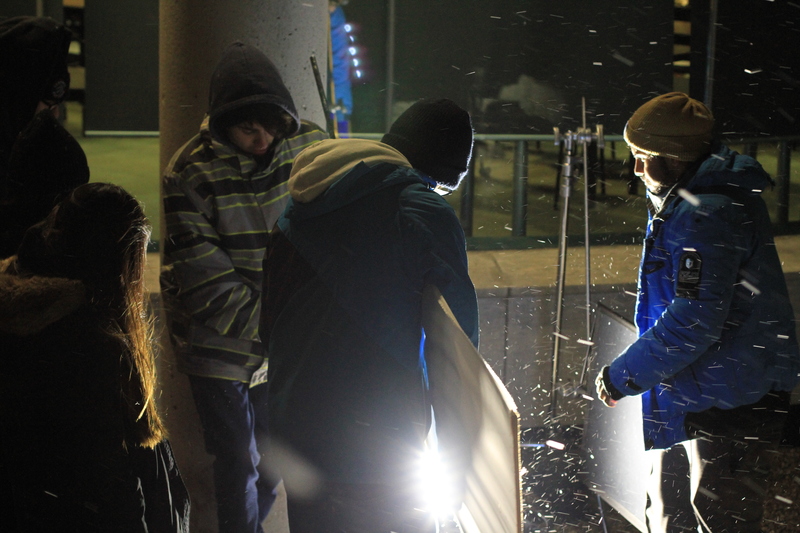 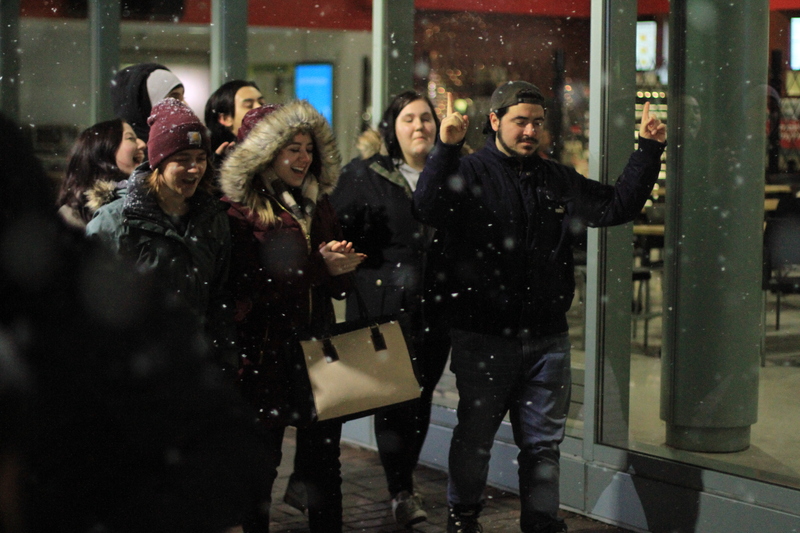 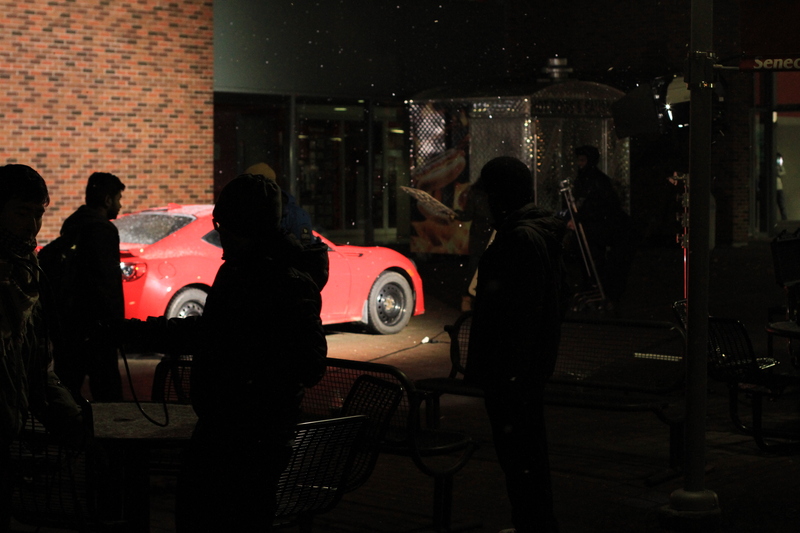 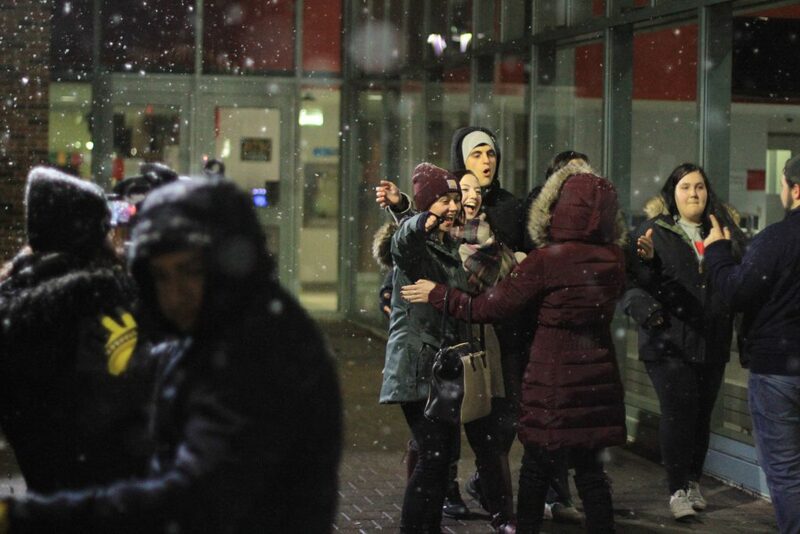 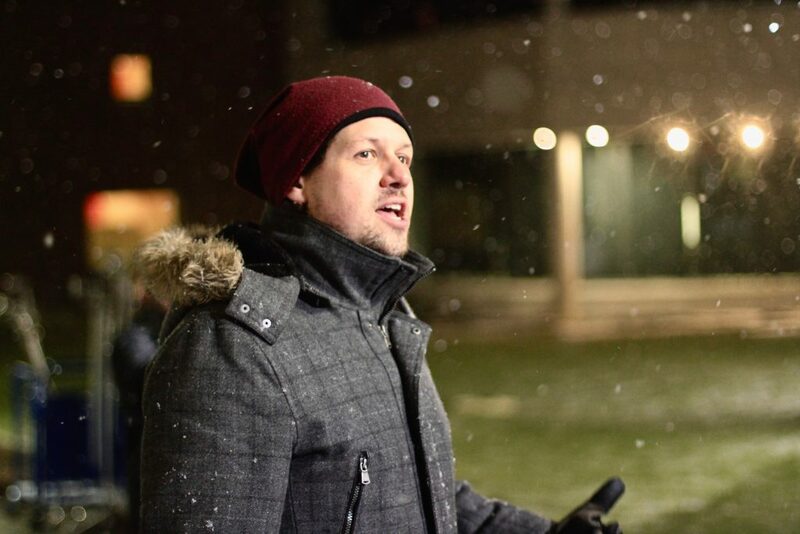 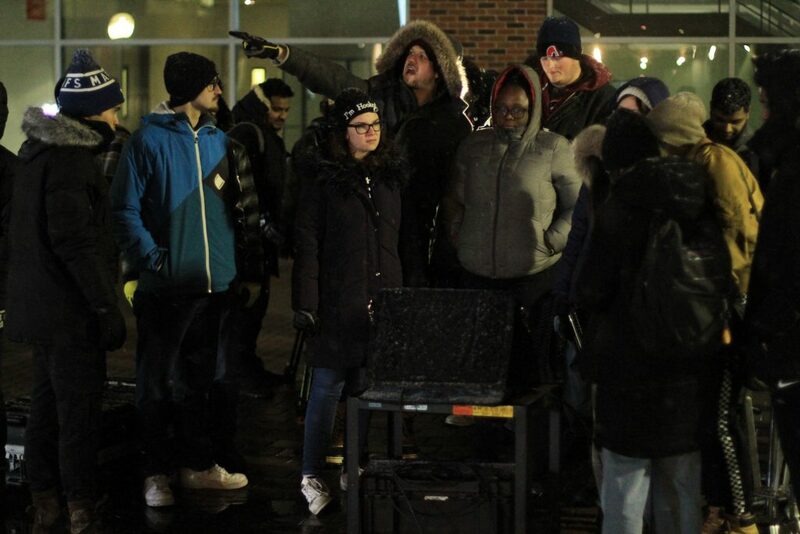 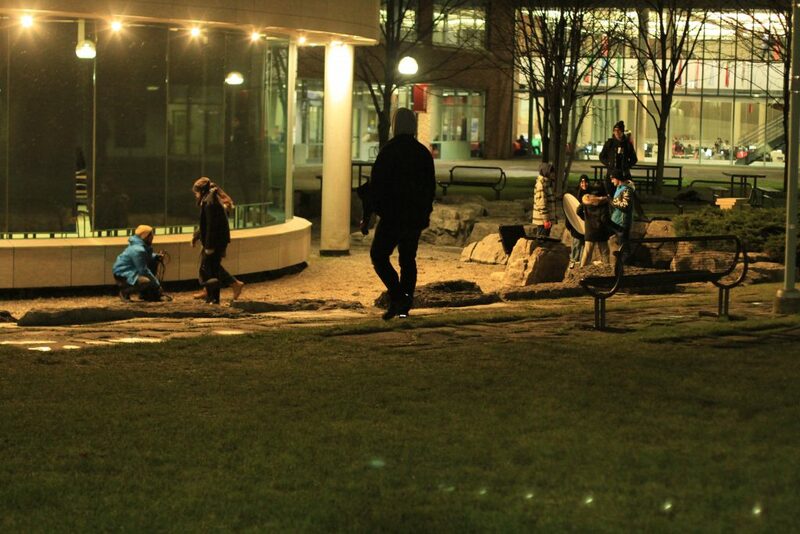 Under the guidance of Kyle and professor Glenn Heshka, the students created three lighting scenarios; a 2 person dialogue with good depth, a 20 meter walk with a group, and a car scene to look as though the vehicle was moving down a city street. 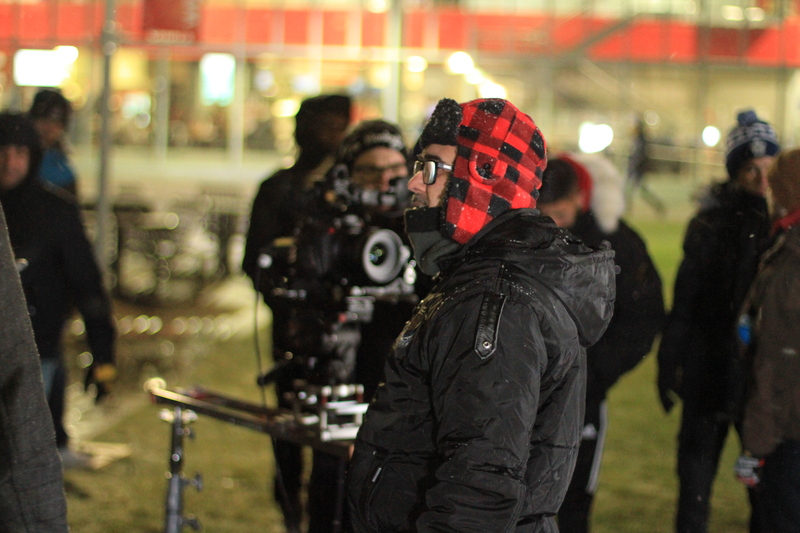 Kyle’s background of numerous feature productions and many low budget films, guided the students through dealing with power, space, logistics, and gear issues. 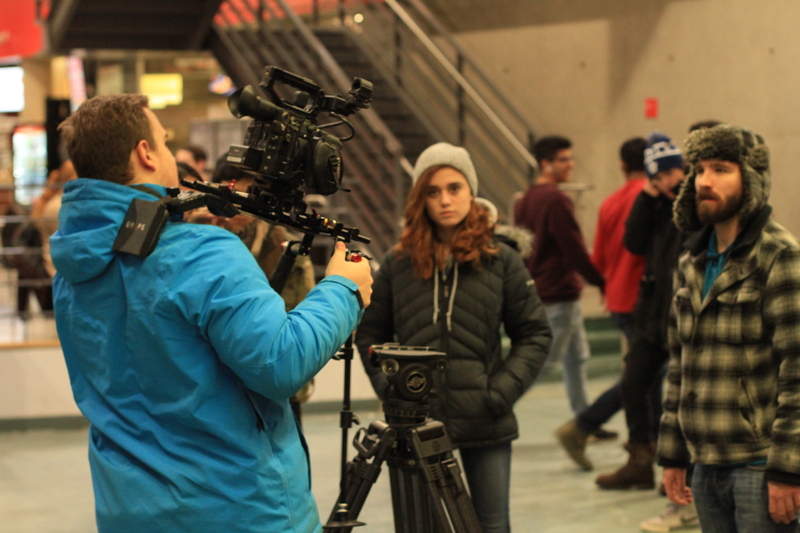 Special thank you to the actors from Seneca’s Acting for Camera and Voice program, who volunteered their time to be the stars of the 4 hour production class.